168 left in stock, Hurry! This accessory is defined by nautical, mystical charm. This 14g navel jewelry has a 9.5mm long stainless steel shaft, a standard 5mm top ball, and external 1.6mm threading, making it most suitable for piercings that have already undergone the healing process. The piece features a fixed round bottom charm measuring approximately 7.5mm all around; this charm boasts a resin-made center with an iridescent effect for a look that resembles a mermaid’s scales. 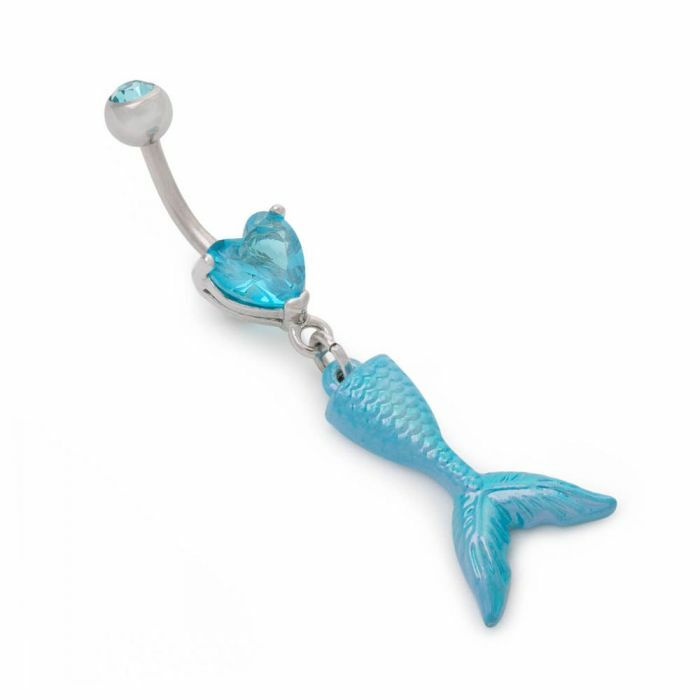 The dangling mermaid tail-shaped charm has a burnished silver effect. Dangling below the mermaid tail is a small seashell charm holding a faux pearl for added allure.